RG6 coaxial cable Satellite dish 75 ohm hook-up cable. For use with such video components as: TVs, Antenna, and VCRs with shielded cable to insure maximum signal with minimum interference. Also for Satellite, DBS, DSS, and C-Band reception. UL listed. 60% braided. Rated for in-wall use. Flame and water resistant. 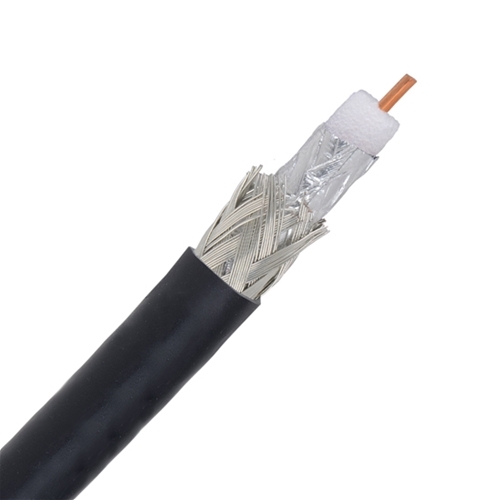 This product does not come with connectors, allowing the user to cut accurate lengths of cable for each individual application. Cable color may vary.